Organize Florida (a part of Airlift's Voter Motor Fund) is engaged in the biggest voter suppression battle in the country–restoring voting rights to 1.6 million felons who have to wait years and show up at the State Clemency Board to individually plead their cases. 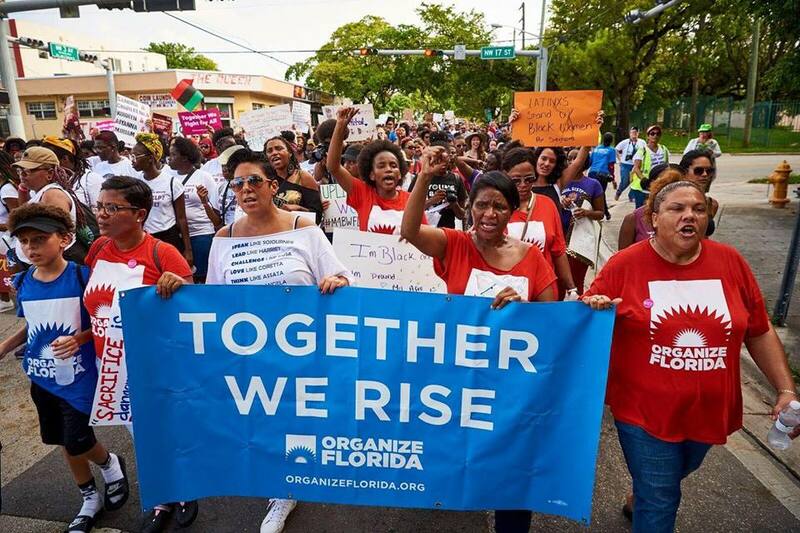 We just learned that Organize Florida and their partners have gathered over 500,000 signatures, enough to ensure that a Florida constitutional amendment to automatically restore their right to vote will be on the ballot in 2018. This would bring Florida voting laws in line with most of the country and welcome folks who have paid their debt back to society. This effort focuses on Puerto Ricans, all US citizens by birth, who are settling in Florida in the aftermath of Hurricane Maria. AIRLIFT helps Organize Florida welcome these new residents, support their relocation and resettlement during an incredibly difficult period, and ensure that they become engaged in Florida political life. Our next job: help Organize Florida make sure 1.5 million targeted people know what to do on Election Day.